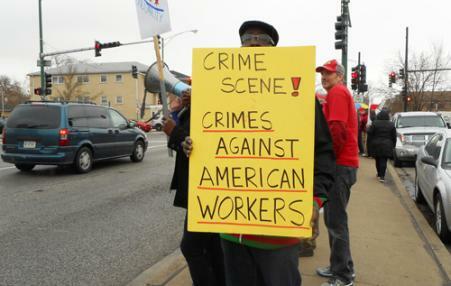 Trump promises to protect US jobs have proven false as Nabisco shuts down its Chicago plant to move to Mexico and Ford reneges onits promise to reinvest in Detroit. Under the new tax bill, even more manufacturing jobs are likely to move overseas. 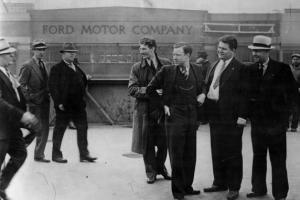 At the infamous Battle of the Overpass Ford Motor thugs ruthlessly beat Walter Reuther and other UAW leaders as reporters and photographers looked on. Despite Ford's denial of the event, news photos documented Ford security men surrounding and beating UAW men and grabbing UAW women.The power of Scotty Kilpatrick’s photographs eventually prompted the administrators of the Pulitzer Prizes to institute an award for photography.